We recognize the importance of including families in the recovery process. We believe that treatment can be so much more effective when we can keep family and loved ones involved in the process of recovery. As an effort to promote healing for everyone involved in the treatment process, we provide supportive family services, including weekly family groups and family therapy to clients. We believe that family members can also learn how they can provide crucial support to their loved ones while they are in treatment to help them avoid relapse and move forward in their recovery process. 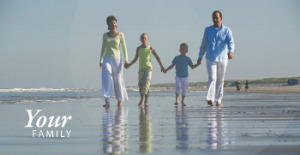 We educate families about the progression of the disease of substance abuse. Our treatment center helps pregnant substance - dependent women to achieve recovery from drugs and alcohol and learn to care for self and their children. Please visit this link to learn more about Al-Anon family resources at National Institute on Alcohol Abuse. Please visit the link to learn more about family-centered treatment discussed by SAMSHA. Parents often lack information when it comes to their kids and drug abuse. This resource will teach parents how to talk to their kids about drug abuse, and what they can do if they find their child has been using drugs. Click on image to read more. The California Department of Health Care Services (DHCS) has been awarded a new $140 million grant to help fight opioid abuse in the state, part of an overall effort that will provide prevention and treatment services for an estimated 270,000 individuals. Even if the individuals struggling with addiction do not have health insurance or financial means to pay for treatment, they can contact California Department of Health Care Services at 1-800-541-5555 to find out on how to apply for Medi-Cal services. Please visit the link to read more about Medi-Cal application. Call us today for information at (844) 867-7326 !